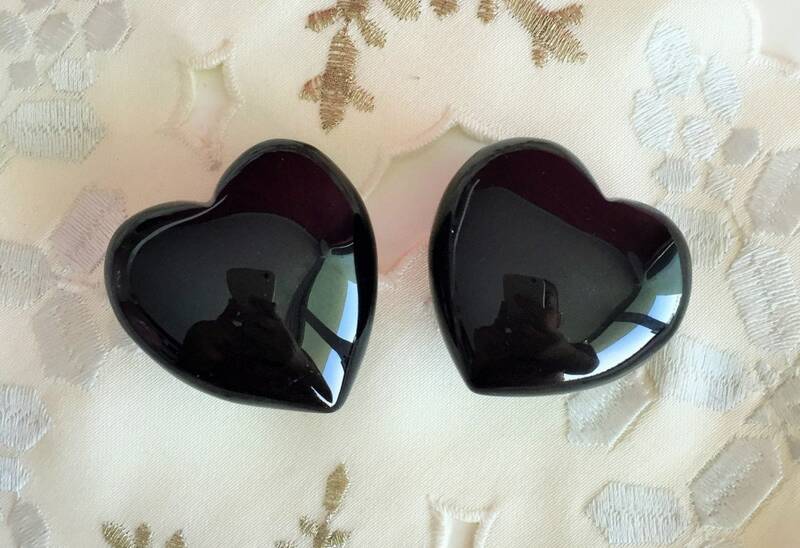 These black hearts are made from Black Obsidian. They have a shiny polished black look. I keep one in my purse or near me because Black Obsidian is known to absorb and destroy negative energy and may be used for protection. PERFECT FOR New Orleans!!!! 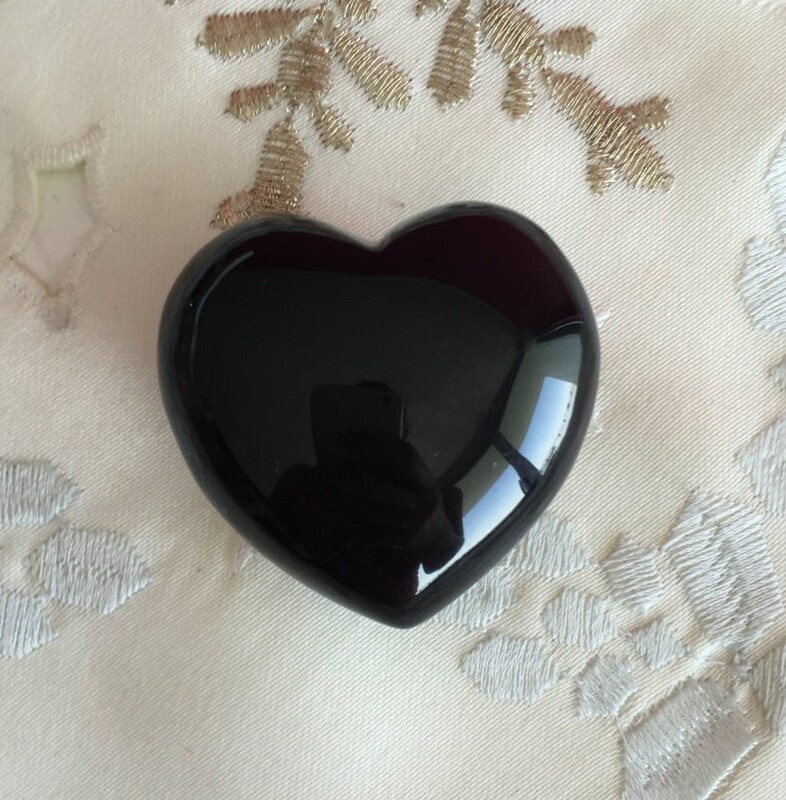 Want to see our collection of Gemstone Hearts?